Artists and programmers team up in game development but they don’t use the same tools and processes. Version control is not an exception. Things that are great for programmers (like great branching & merging and distributed development) are irrelevant for artists. Simplicity and avoiding feature creep are what artists care about. As an artist I want to decide in which files I want to work, make the changes and submit them easily. I don’t ever want to see a merge. Most likely I don’t want to see branching happening either. As an artist I want to lock files so that nobody can work with them at the same time. As an artist I can’t download the entire repository because it can involve downloading tons of files of huge sizes. Find the character he's going to work with today. Download just this part, not the entire repo. Browse the repo and then decide what to download - they need like a good browser to decide what to download. 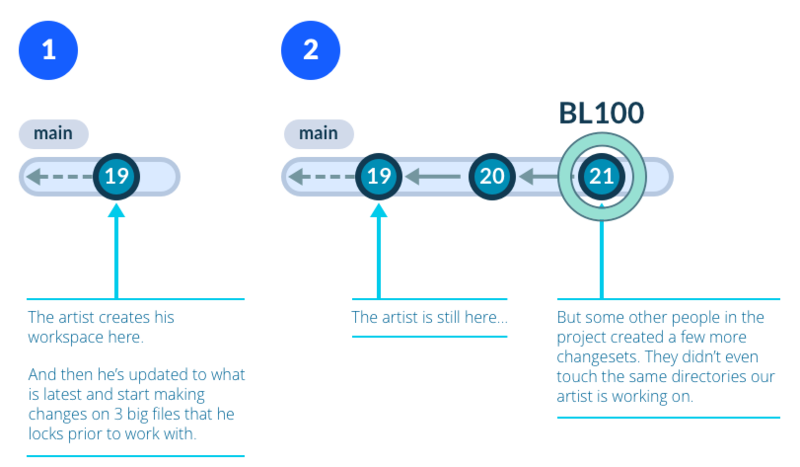 To create the best possible version control tool for artists we had to develop a new user interface but also an additional “checkin engine” to give them the freedom to checkin and update even when the entire workspace was out-of-sync. A “workspace explorer” to be able to browse what you have loaded on disk. A “configuration mode” to decide what needs to be downloaded to disk (plus a totally new ‘update-engine’ that works differently than the regular one in Plastic). A “checkin view” to easily checkin changes. We removed all the other additional features and options to keep users focused on what they’re really interested. 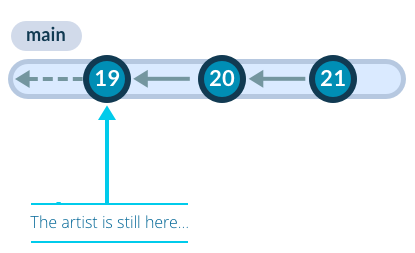 All modern distributed version controls (git, mercurial, Plastic SCM) work on a “changeset|commit” basis instead of on a file-per-file basis as previous generations did. While this change makes a lot of sense for developers, it introduces some restrictions for the game artist workflow. "Changeset oriented" version control (the basis of DVCS) means the entire repository evolves “together”. There is no such a thing like "download version 3 of foo.c and version 7 of bar.gif". No. Whether you’re on changeset 8, globally, or 10 globally, but you don’t select files one by one. This is done to keep what we’ll call "changeset coherency". Your workspace is synced with the repo all the time (excluding potential local changes pending to be checkedin and special configurations with cloaked files). This is extremely convenient for code because you minimize broken builds and you think on the project as a whole: you sync to a given changeset and you know the code will work as it did when you submitted it. If he wants to get a newer version of a file, he’ll need to update from changeset 19 to 21, potentially downloading hundreds of files and megabytes. And while it makes sense for a programmer (you wouldn’t download a source file without making sure all the others are there up-to-date to build) it is can be a pain for an artist. This is precisely what the new versioning engine solves: it allows the creation of workspaces where files can be updated one by one, breaking “changeset coherency” and still being able to checkin. Select the files to be downloaded, one by one, or selecting subtrees of the repo. Avoid updating certain files and they’ll be visible as out-of-date when new versions appear, but artists won’t be forced to download unless they really need it. As explained above, now it is possible to update only parts of the workspace with new contents from the repo, even on a file per file basis. While the way of working on “artists workspaces” and “coder workspaces” will be different, they’ll still be able to checkin to the same repositories. They’ll use different workflows and GUIs, but the repos can be shared among the two, keeping total compatibility. Artists workspaces introduce total freedom to version on a file per file basis, but introduce a restriction: merges can’t happen in these workspaces unless they’re converted to “regular ones” running a full update (syncing with a changeset instead of having a out-of-sync status). Since most artists precisely want to avoid merging and all costs… we think this is not a big price to pay for the new great flexibility.